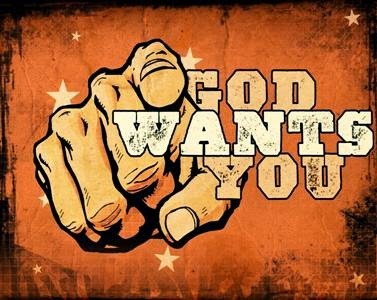 Home / acceptance / acknowledgement / calling / christian / Church / Church of England / confirmation / disciples / equipping / God wants you / ordination / priest / process / spiritual journey / testing / Is God calling YOU? Are you called to be collared? A calling is very personal and yet very public when you are called to be a priest. You are called as an individual by God in many different ways, so how do we know if it is God calling? How can we be sure? To be a priest in the church of England, you go through lots of processes before they let you loose with a parish. I met with my parish priest Julia, she had come to see me about what more I could do within the church, I was eager, keen to get more involved. But that meeting was to change my life forever. I sat opposite her as we talked and I she said to me, you can do this or you can do that, or you can be a lay reader, an OLM, an NSM, or a full-time parish priest? From somewhere within me – I heard the words full-time parish priest. When the words came out I was shocked. But Julia wasn’t surprised and when I told people at church, they weren’t surprised either, they said we were just waiting….. So the process began.. first you have to go and see a vocations advisor, if they think that you are a suitable candidate, they send you to a DDO, (Diocesan, Director of Ordinands) You spend a lot of time with them talking about your calling, your life, your past, your education, your spirituality. It has a lot of questions for you to consider after each chapter and I remember writing a diary alongside reading it, answering each question as it arose. It was a very powerful exercise. I remember thinking to myself, I can never be like Julia, (our parish priest) I didn’t feel worthy to be called. Who would want me, I had been broken, I didn’t come from a wealthy family, or a stable family unit – my dad died when I was 14, he committed suicide. But when God wants you, he doesn’t look at your past mistakes or how many O’levels you have, he looks into your heart. If God wants you he makes it happen. They were concerned whether I could learn or not, so I went along to the Christian Training programme, and wrote essay after essay on subjects I had never considered before. Church History, The Holy Spirit, etc. It opened my eyes I really enjoyed it. When it came to the end of the course I was asked to stand up and give an account of what I had learnt, and how I felt about the course, in front of everyone. I had never done anything like that before, ever. But I did it, with knees knocking and a bit of a wobble.. The DDO did a home visit, and I went to see the Bishop. That also was memorable – I arrived at his home his PA asked me to wait as he was running late, then in he breezed apologised for being late but said he wouldn’t be a minute. Off he disappeared then re-appeared in shorts and t-shirt. I found it quite amusing as there I was in my suit, a bit nervous.. He was absolutely lovely and put me at ease. After I had seen the DDO for about a year, he put me forward for a selection conference, this was it.. the decision. The selection conference is three days long. During that three days you, have interviews, essay, pastoral letter, group work, you stay in the place where those assessing you are also. It’s intensive but when I left I felt – what will be will be I actually had a good time. Ten whole days. I remember so clearly the day of the phone call. It was early about 8 O’clock, the phone went – I picked it up. It was my DDO, he said he wanted to tell me as soon as he knew. I had been accepted for training.. Well I remember I sat down – and then cried. I couldn’t quite believe it.. God wanted me! That wasn’t the end of the story but the beginning, the testing of my vocation continued through two years at college till I was ordained deacon at Christchurch Cathedral. What a momentous day – one I will never ever forget. Is God calling YOU? What is stopping you testing it? Are you afraid? Do you feel unworthy? Do you think your past is unredeemable? Think of the Disciples of Christ.. a very unlikely bunch. In a sermon a long time ago, I wrote this although I don’t know the source. The twelve disciples were the least likely candidates for the job of apostle. This might well have been the reply he would have received..
for managerial positions in your new organisation. All of them have taken our tests. our psychologist and vocational aptitude consultant. education, and vocational aptitude for your enterprise. They have no team concept. Simon Peter is emotionally unstable, and give to fits of temper. Andrew has no qualities for leadership. The brothers, James and John, place personal interest above company loyalty. Thomas shows a sceptical attitude that would tend to undermine moral. Matthew has been blacklisted by the Jerusalem Better Business Bureau. and registered a high score on the manic depressive scale. One of the candidates, however shows real potential. and has contacts in high places. He is highly motivated, ambitious, and responsible. We recommend Judas Iscariot as your controller and right-hand man. God equips those he calls; he doesn’t always go for the obvious choices….